Interesting facts about Delaware will have your sides hurting from laughing so hard. 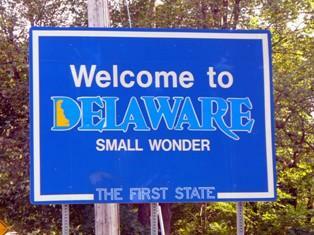 Check out this list of great fun facts about Delaware to help you with your road trip plans. Plan on reading them as you travel through this great state. Are you ready for some interesting facts about Delaware? How about the crazy blue hen chicken which is the state's bird? This was the first state to ratify the constitution, which gives it a certain level of bragging rights in the country today. There are many more fun facts about Delaware to learn, so stick around awhile. You'll want to add this one to your road trip plans. Some of our interesting facts about Delaware are designed to educate you in a new realm of trivia, while other facts are there just to make you smile. The Miss United States contest was held for the first time on Rehoboth Beach in Delaware. Thomas Edison served as judge and the history of beauty pageants in this country was off and running. Don't go looking around Delaware for a National Park because they don't have one. They do however have a great National Wildlife Refuge which is located in Bombay Hook. Do you love anything that runs like a Deere? If so, visit Harrington, Delaware to see the very first John Deere tractor sitting in the Messick Agricultural Museum. It won't look like the modern day Deere you are familiar with, but it's definitely a site worth seeing. If you're thinking of marrying up the next time around, this is the perfect state for attending singles mixers. The state has a higher percentage of Ph.D. holders, including scientists and engineers, than any other state in the country. This means you are more likely to bump into them at the grocery store and meet them at the PTA. You have to hit the coast to enjoy Fisher's popcorn if you visit Delaware. It would be a sin not to enjoy this treasure while you are there, considering people from Indonesia, Vietnam and many other countries have paid big bucks to have it delivered to their home. Save yourself some shipping expense and just try it while you're there. May is a great time to try that popcorn as horseshoe crab can be seen all along the shoreline at this time. These creatures are simply amazing as they have been around since dinosaur times but have done very little changing. They can also go for a year without eating and survive in extreme temperatures that would kill most other animals. What could five bucks buy you in 1880? How about the 87 foot lighthouse presented at Fenwick Island. This entire lighthouse was thrown up for just five bucks, which is downright amazing considering you can't even get two gallons of gas for that price today. While you're riding through Delaware it is always a good time to stock up on groceries, school supplies, clothing, and anything else that you will be purchasing when you get back home. Why? They join Alaska, New Hampshire, Oregon and Montana in not charging sales tax. The first time the U.S. flag was seen flying in the breeze was in Delaware in 1777. It was September 3rd and the Battle of Cooch's Bridge was in full blast all around that amazing flag. In order to cook up 800 chicken quarters you would have to create a spectacular frying pan capable of holding 180 gallons of oil. That is exactly what was done at the Delmarva Chicken Festival of 1950. The pan measured 10 feet in diameter. Tell grandma to beat that! That's all of the interesting facts about Delaware for today, but we do still have some fun facts about Delaware in the form of crazy kooky laws. Something to consider while your making road trip plans. Tight pants are all the rage with teenagers today, but Lewes, Delaware has the solution to this. They have a law against wearing pants that are "firm fitting" on the waist. This was probably put into place by jealous husbands with major abandonment fears. I dare you to marry the next man who walks into the room! You might yell this out while at the bar and feeling very good, but in Delaware it would be against the law. You are illegally permitted from marrying someone on a dare in this state. Good Friday and Easter Sunday are protected holidays in this state. You may enjoy the horse races, but they are completely outlawed on these days. Save up the cash for bids the day after. Drive-ins are great fun for family nights out, but there are some limitations on what you can enjoy when you head out in Delaware. It is illegal to show moves that are R rated in dive-in theaters. If you like to fly, you better hope the airline has a stockpile of food and drink. The peanuts just won't cut it in Delaware since they have a law forbidding flight without adequate stores of food and drink. Here is one of the more intriguing interesting facts about Delaware: while it is the second smallest state in the country, it was the very first state to join the country. It all started off with what most people would consider a rather non-influential state today. We're done with our fun facts about Delaware for now, but there are many more interesting facts about Delaware to be found out there. Explore the state and you will discover many new facts to share with friends back home. Add Delaware to your road trip plans today.